Once an Al Shabab leader, Sheikh Hassan Dahir Aweys now lives in legal limbo, a case study in Somalia’s stumbling search for stability. MOGADISHU, SOMALIA—A man who has been called everything from a terrorist, a visionary, a clan elder, a religious scholar, a killer and a statesmen greets me on his driveway with a wave and a grin. Sheikh Hassan Dahir Aweys seems eager for visitors. House arrest does not agree with those who pride themselves as leaders, not captives. 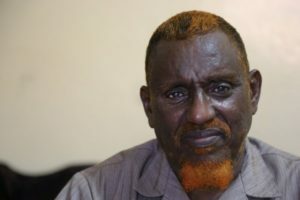 Aweys, listed both by the U.S. and United Nations as global terrorist associated with Al Qaeda, hasn’t changed much in 10 years; his face is relatively unlined for a septuagenarian, his beard still dyed vibrant henna red, his opinion that Somalia should be governed by Islamic law unwavering. But Somalia — and the world — has. Bush to Barack Obama to Donald Trump, four Somali presidents and seven prime ministers, the rise and (somewhat) decline of East Africa’s Al Qaeda branch, Al Shabab, the rise and (somewhat) decline of Daesh, also known as ISIS and ISIL. 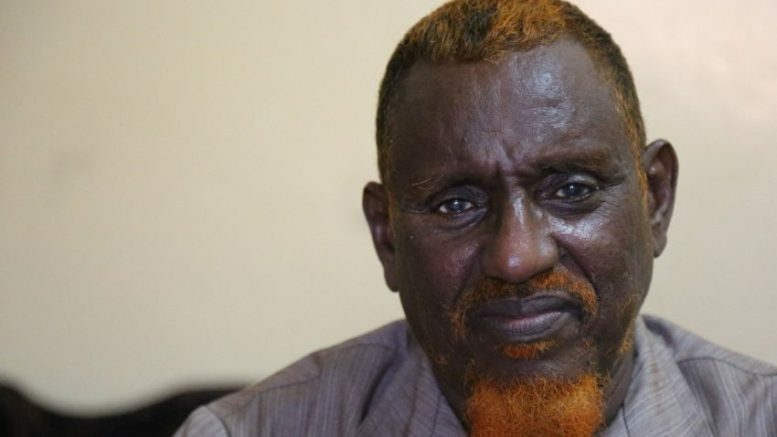 In an exclusive interview inside his home where he lives with some of his wives and 28 children, Aweys spoke at length about his history with the ICU, the Shabab and eventual split with the group’s leaders. A decade ago he could have shaped Somalia — today the country seems at a loss over what to do with him. Which is one reason why Aweys, once one of Somalia’s most influential men due to his clan affiliation and militant pedigree, remains confined to his home in forced retirement. The interview with Aweys was conducted while Obama was in power and before Mohamed Abdullahi Mohamed, known popularly as “Farmajo,” was elected Feb. 8 as Somalia’s president. I had been granted rare access last year on the condition that the story would not be published immediately. There were sensitive diplomatic negotiations underway with Qatar at the time — reportedly to provide Aweys sanctuary in Doha. Aweys ostensibly could face terrorism charges for his association with Al Shabab, but a trial is unlikely. He is a prominent member of Somalia’s influential Habar Gadir, a subclan of Hiwaye, and the previous government was unwilling to risk the backlash if he were prosecuted or, if found guilty, sentenced to death. The talks with Doha have since broken down and, according to a Somali security official, Aweys remains under house arrest. He has been in government custody since his 2013 surrender, which followed months of negotiations with clan elders and government officials. At the time he left the Shabab, the group’s executive was fractured and Aweys’ life was threatened by leader Ahmed Godane. American Omar Hammami, who was wanted by the FBI for a bounty of $5 million, was among those dissidents who were assassinated by Godane’s men. (Godane was later killed by a U.S. drone in 2014). Aweys had once ruled a breakaway Islamist faction known as the Hizbul Islam that fought against Al Shabab. But in December 2010, the two groups officially merged. He said he condemned the group’s killing of civilians, citing friends whom had been victims. But that’s easy to say while under house arrest. During his years with the Shabab, the group launched some of their most devastating assaults, including the attack at Kenya’s Westgate Mall, which killed 67. Then why not speak out? He continued to dodge the question, saying that Islam forbids such slaughter of innocents. Why. Not. Speak. Out. At. The. Time? “We were fighting a war and that is not wrong in itself, sometimes there are going to be crimes committed,” he said. Understanding Aweys today means going back to 2006. Mogadishu was a completely different city. There were only a few flights a week and the airport runway was a concrete strip marred by the carcass of a crashed Russian plane. Just a handful of Westerners travelled to the capital during the Islamic Courts Union’s six-month rule, as it was almost impossible to arrive without the group’s prior permission. Foreign passports were stamped at the airport with a “visa” that cost US$250, even though the ICU was not an official government. Luggage was thrown in pile on the tarmac so men with metal detectors could conduct a symphony of beeps and squeals, although they didn’t actually open any of our bags. Today, flights come and go throughout the day and passengers enter a pristine airport, with functioning metal detectors and luggage belts, shining like a lounge for Dubai’s Emirates Airlines rather than a typical East African terminal. Throughout my interview in 2006, Aweys, felled by the flu and listless during his Ramadan fast, mainly answered questions with questions. Most critically, it was hard to determine what influence he exerted over the ICU leadership, whose other members were considered moderate. But the most surprising aspect of our visit to Mogadishu was not that Aweys agreed to an interview or what he said, but that Mogadishu looked nothing like we expected. The idea was to write the Taliban of Africa story, but what we found was different. Somalis, weary of war, were ready to give the ICU a chance. The group had done what no power before had managed since the collapse of the government in 1991 — overcome clan politics and the never-ending fighting of rich and corrupt warlords. In a country awash in weapons, there were few AK47s on the streets. There was cautious optimism. There was a chance for diplomacy and negotiations. Two months after our interview, Ethiopia invaded Somalia with implicit U.S. support to oust the ICU — one of the most catastrophic foreign policy decisions in Somalia’s history. Somalis rose to defend their sovereignty against longtime rival Ethiopia. 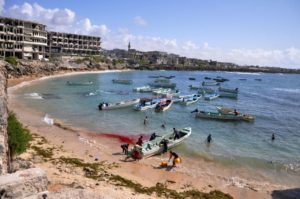 A small militant youth movement within the ICU known as Al Shabab grew to a fighting force during the two-year bloody war. Former ICU leader Sharif Sheikh Ahmed was appointed the country’s president. Then-U.S. secretary of state Hillary Clinton shook his hand at the United Nations and said he was the “best hope” for Somalia in a long time. Essentially, two years of war and thousands upon thousands of deaths served only to keep the same man in power. In 2010, Al Shabab officially pledged allegiance to Al Qaeda and was listed by governments worldwide as a terrorist group. On Dec. 23, 2010, Aweys, who had fled to Eritrea during the war, merged his Hizbul Islam faction with Al Shabab. Terrorism is often, especially after the Sept. 11, 2001, attacks and again today, regarded in black-and-white terms. Terrorist or not. As George W. Bush famously said, you’re with us, or with them. The reality is never so obvious when put in context. Interviewing Aweys today is as frustrating as it was 10 years ago. He is verbose, but says little. The only clear fact is that he believes a strict, literal interpretation of sharia, or Islamic, law should govern Muslim countries. Aweys told me he doesn’t support Daesh’s incursion into Somalia or its members’ nihilistic attacks on the West, but spoke glowingly of Abu al Baghdadi’s declaration of a caliphate in Syria and Iraq in a fashion that was similar to his praise of Osama bin Laden’s vision a decade ago. But unlike many hardliners he does not rule out the possibility of Western alliances, whether they are political or financial. During our interview he name dropped various diplomats he had met, such as the European Union human right’s adviser. Most hardliners would also not surrender even if their lives hung in the balance. Until he renounces his past though, he will not be given amnesty as other high-profile Shabab defectors have, along with hundreds of foot soldiers. At the end of the interview I ask him if he’s the same person I interviewed a decade ago, or if experience had changed him. 1991 Mohamed Siad Barre ousted amidst a deadly power struggle between clan warlords. 1992 U.S. marines arrive to help UN peacekeepers restore order. 1993 U.S. army Rangers are killed when Somali militias shoot down two US helicopters in Mogadishu. 1995 UN peacekeepers leave, having failed. 2006 Following fierce fighting, militias loyal to the Islamic Courts Union defeat clan warlords and take Mogadishu; Ethiopian troops enter Somalia. 2007 UN Security Council approves six-month peacekeeping mission; African Union troops land in Mogadishu amid battles between Islamist insurgents and government forces backed by Ethiopian troops. 2010 Al Shabab announces alliance with Al Qaeda and launches a major offensive in the capital. 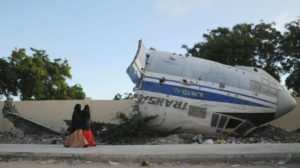 2011 (July) UN declares famine in Somalia and airlifts aid to Mogadishu; Al Shabab pulls out of Mogadishu. 2011 (October) Kenyan troops enter Somalia to attack rebels they accuse of kidnappings in Kenya. 2012 MPs elect Hassan Sheikh Mohamud president over incumbent Sharif Sheikh Ahmed. 2013 (June) Sheikh Hassan Dahir Aweys is arrested by government troops. 2013 (September) Al Shabab kill 60 people in a Nairobi shopping centre in retaliation for Kenya’s military involvement in Somalia. 2016 February African Union leaders increase their military presence after weeks of Al Shabab attacks. 2017 Mohamed Abdullahi Farmajo elected president. Be the first to comment on "My meeting with a forgotten terrorist in Somalia"